The bodies of a UK millionaire and his Thai wife have been found in northern Thailand nearly a week after what police suspect was a contract killing. 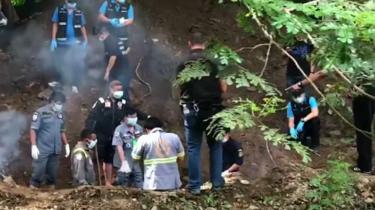 The bodies of Alan Hogg, 64, and Nod Suddaen, 64, were discovered buried on their property in Phrae province. Police say Mr Hogg, who was from Edinburgh, was shot dead, while his wife was killed with a hammer. Three suspects have been held. They are alleged to have been hired to carry out the attack by Nod Suddaen’s brother. “The motive for the killings was a long-running internal family conflict, feuds and property,” local police commander Manas Kerdsukho told the AFP news agency. The couple were reported missing last week. The three alleged killers were arrested after police tracked down a vehicle said to have been taken from Mr Hogg’s property. They later admitted killing Mr Hogg and his wife, police say. 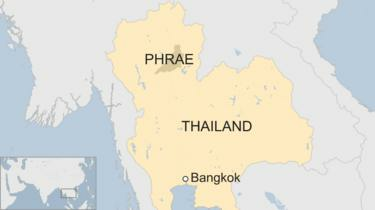 The British embassy in Thailand has so far made no public comment on the issue. Mr Hogg moved to Thailand several years ago and had built a luxury villa in Phrae which included a swimming pool and a summer house, reports say.